The Paris and the Gardens of France Tour will begin in Paris and focus on the gardens of France: Versailles, Giverny and The Loire Valley at their peak. The gardens range from Renaissance to contemporary and include flower gardens, woodland gardens, landscaped parks and, of course, a French specialty, formal gardens. The Paris and the Gardens of France tour will begin in Paris and focus on the Gardens of France: Versailles, Giverny and The Loire Valley at their peak. The gardens range from Renaissance to contemporary and include flower gardens, woodland gardens, landscaped parks and, of course, a French specialty, formal gardens. The gardens of France are works of art that have offered endless inspiration for painters, poets, and playwrights and captivated visitors for centuries. Call 301 364 5050 for 2020 info. Arrive in Paris in the morning where your private driver will be waiting for you at the international gate. Spend the afternoon resting or get acquainted with your neighborhood for the next three nights. Les Dames du Pantheon is a very Parisian 4-star hotel. Bordering St. Germain and the Latin Quarter, it is wonderfully situated facing the Pantheon. Le Bourgogne et Montana, a 4-star hotel in the chic but lively 7th Arrondissement near the National assembly, the Invalides, and Musée d’Orsay. A spectacular dinner cruise on the River Seine with your tour director and fellow guests will end the day. You will enjoy an excellent menu, wines, and service plus Paris illuminated for you! You will spend the entire day in Versailles visiting the Park, the Gardens, and the Chateau followed by an evening of lights and music. A historian will guide you through the gardens and will help you to understand how the Park was conceived by the French landscape architect, Andre Le Notre in 1660, starting by bringing adult trees from all French regions. Le Trianon and Marie Antoinette’s hamlet are also on the program. You will be treated to lunch at Versailles then for dinner a light snack before the evening illuminations. In the morning you will start the day as the French do and visit an outdoor market followed by lunch at a very Parisian restaurant. 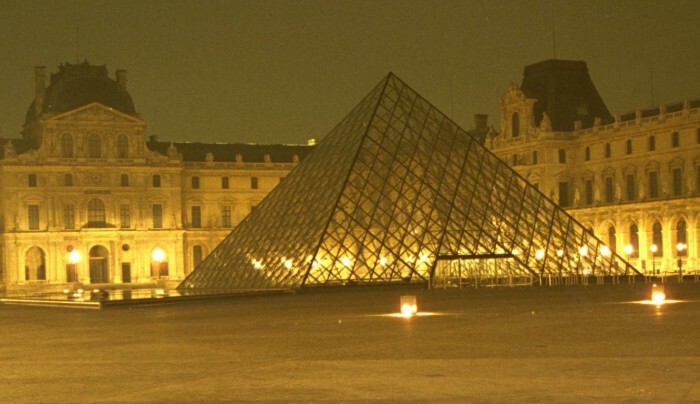 Paris boasts some of the most famous landmarks and museums in the world. Your afternoon is free to walk the Champs Elysees, climb Montmartre, visit Notre Dame, the Eiffel tower or wander the Marais, and soak up the unique atmosphere and style of Paris. A short drive from Paris is Giverny, home of Claude Monet from 1883 to 1926. Visiting the gardens conceived by the master painter himself will occupy the morning. Before leaving Giverny, we will have a late lunch in the village. After lunch, we will travel by car to Amboise, your home for four nights. Our hotel is the 4-star Manoir des Minimes located on the left bank of the Loire River, in the middle of this small, active and charming town. First, you will visit The Royal Château of Amboise. It was the property of and a place of residence for French Kings from the 15th to the 19th-centuries. Amboise’s chapel in the garden is Leonardo da Vinci's final resting place. Next, you will visit the Chateau du Clos Luce, the last residence of Leonardo da Vinci. Last but not least you will have lunch and spend the afternoon at the Castle Chaumont. Queen Catherine de Medicis gave this beautiful castle which dominates the Loire River to Diane de Poitier, the mistress of her husband Henri II, after his death. Besides a beautiful park, Chaumont is home of the annual “Festival des Jardins”. The International Garden Festival has been providing a unique panorama of landscape design all over the world since 1992. At the same time a source of ideas and incubator for talent, the Festival gives an extra boost to the art of gardens and gains the interest of both the public and those in the trade by displaying new flower arrangements, new materials, ideas, and approaches. The diversity and the high quality of the projects have contributed to the Festival’s international reputation, which has become an indisputable meeting place for displaying the work of a new generation of landscape gardeners, architects, and designers. Dinner on your own in Amboise. Until Azay le Rideau, castles were mostly defensive structures; for the first time, Gille Berthelot, Louis XII finance minister built a castle-residence for his enjoyment and beauty. We will have lunch at the Villandry’s restaurant, which actually serves the vegetables grown for their colors and beauty in the superb gardens, where we will spend the afternoon. Already known in the Renaissance, different owners successively transformed them, now into a formal garden, now a romantic garden. The acquisition of Villandry by Joachim Carvallo in 1906 marked a return to their roots for the gardens. With a scientist’s meticulousness, Carvallo recreated gardens that were worthy of the restored chateau. Ever since the construction of the Chateau of Villandry in 1532, outstanding gardens have embellished the building. True to Joachim Carvallo, his descendants have undertaken to preserve and develop the Villandry estate with the rigor and selflessness that are the making of outstanding gardens. The herb garden is a 1970s creation; the sun garden, based on a design by Joachim, was inaugurated in 2008, as a beautiful way to mark the centenary of the recreation of these exceptional gardens. Firmly rooted in their time, the gardens of Villandry made the decisive move to organic in 2009. Since then, in particular, in the kitchen garden, working methods have been based on integrated management, along the lines of “observe to prevent, prevent to avoid the use of pesticides”. Convivial dinner in Amboise or the region. Today you will explore the medieval town of Chinon, the Abbey of Fontevraud and the Chateau du Rivau. Chinon is steeped in history and rich culture. The ancient Château du Chinon was the preferred residence of Henry II, the first of the English Plantagenet kings, and his wife Aliénor (Eleanor) d'Aquitaine. The Chateau is also where the 18-year old Joan of Arc came to implore the Dauphin of France (the future Charles VII) to give her an army, claiming that "she was sent by God to drive the English from France". Next is a visit to the Royal Abbey of Fontevraud one of the largest surviving monastic cities from the Middle Ages. At the heart of the Abbey Church are the tombs of Eleanor of Aquitaine, Henry II, Richard Lionheart and Isabelle d’Angouleme. The Abbey was converted into a prison between 1804 and 1963, then in 2000 designated a UNESCO World Heritage Site. Chateau Le Rivau is labeled “Remarkable Gardens” by the Ministry of Culture of France, Conservatory of Fragrant Roses by the CCVS (French Conservatory of Specialized Varieties Collections) and Conservatory of Old Regional Vegetables. Created by Patricia Laigneau (Landscape School of Versailles) over more than twenty years, the Rivau gardens are contemporary gardens that evolve with the seasons. There are Naturalistic Gardens, that change every day, there are always two out of the fourteen gardens that are at their climax between April and October, with interesting associations between star plants and plants shedding favorable light on those star plants. Le Rivau Rose gardens contains a collection of more than 450 different kinds of roses. These roses were not chosen for being old or new but because of their fragrance. The Rose Garden with roses and thousands of other plants combine to make a botanical garden paradise for expert and novice gardeners. Each plant is labeled in French and Latin. Gardens are cultivated without chemicals; Le Rivau is doing its best to protect the environment. Surrounded by a lovely “Jardin a la Francaise” the Chenonceau castle is wonderfully decorated making this visit one of the most enjoyable. After lunch, you will visit Château de Chambord. In 1519, a palace rose up out of the swampy lowlands of the Sologne region, on the edge of a forest filled with wild boars. François I, ordered its construction but did not intend for Chambord to be his permanent residence. In fact, he spent only a few weeks here, leaving it empty of furniture and people after his visits. It was an architectural jewel that the king liked to show to visiting crowned heads and ambassadors as a symbol of his power. Although the château was not completed under François I, it is one of the few buildings of that age that has survived without major modifications to its original design. That afternoon, we will drive to Tours, where you will catch a direct train to CDG. Froggytravel services end at the train station. After spending the night at the airport you will depart in the morning and land in the US that same afternoon.